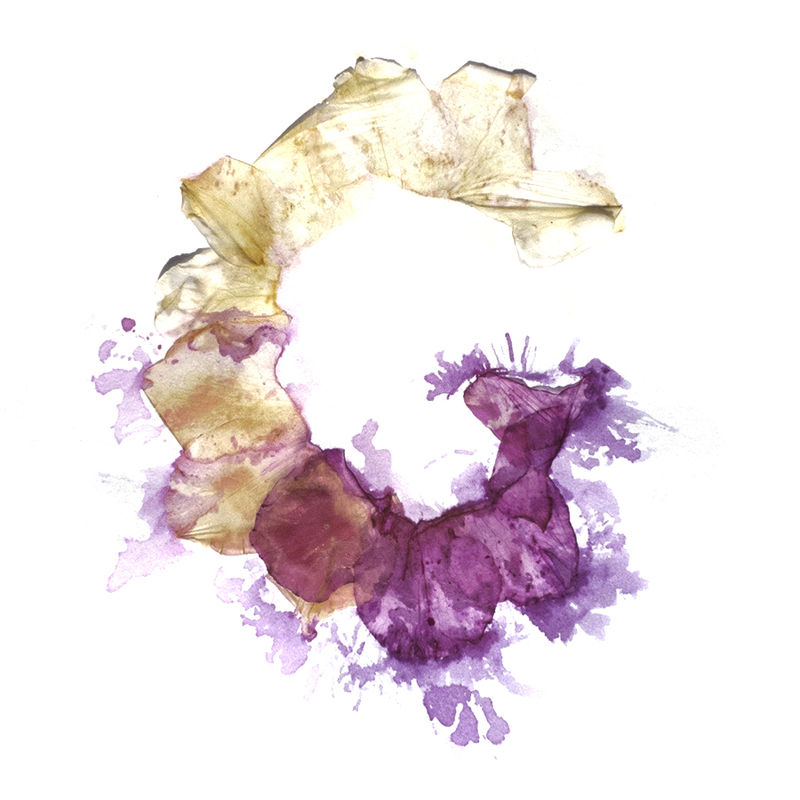 I created this alphabet based on the quote “Forgiveness is the fragrance that the violet sheds on the heel that has crushed it” by Mark Twain. 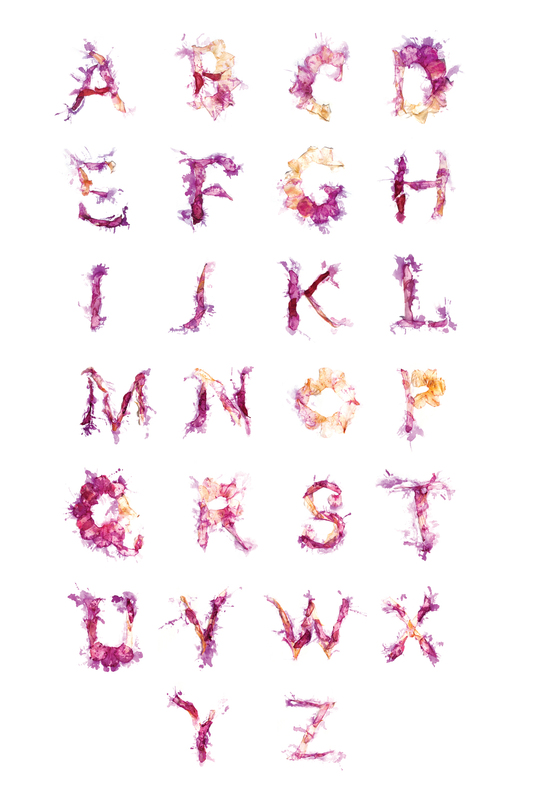 Each letter is made of azalea petals, laid out based on the typeface Alice. After laying out the petals, I placed parchment paper over each letter and crushed the petals, causing them to release their pigment.